Show your online visitors and shoppers that their security is your top priority. 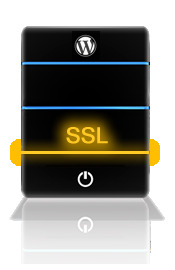 With the Managed WordPress SSL Hosting package your website is protected by 256-Bit SSL Encryption. Your domain name will display the coveted lock icon and start with HTTPS. Get added SEO benefits Google's algorithm now rewards websites with SSL certification. Included is all our great Managed WordPress benefits of speed, reliability, and security along with select premium WP plugins paid for. Your domain name will display the coveted lock icon and start with HTTPS. We pay for the premium Plugins. Translated, they're free to you!